Anyone who’s been following ABC’s show Shark Tank might be able to remember seeing Cerebral Success’s CEO who appeared on the show. Asking investors to fund his start up for a return on equity, Cerebral Success was able to receive a large sum of money for a large cut of company equity. Of course, this kind of money can go a long way, especially for a company that needs help growing… but what was actually more important was the potential opportunities of growth from the help of the many connections of a shark. As many can now attest, the money was put into really good use as Cerebral Success boasts some (pun intended) success! This is most evident in their new and revamped website, which looks a whole lot better than what their website used to be. 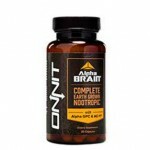 With a major investor backing them up, Cerebral Success is up for very big things, especially taking into consideration their recent deal with GNC. Their website is also pretty information-dense, so there is definitely a lot to read there if you have the time. However, if you want to read further on some non-biased, non-hyped information, you’re going to have to do your research elsewhere. While they don’t provide any supplement facts for SmartX on the website itself, they do list some pretty informative and easy-to-digest descriptions on their ingredients. Fortunately, doing a Google Images search for “SmartX” should bring you the results. While Cerebral Success’ formula was given out during the episode on Shark Tank, we hadn’t really been able to give it a much closer look until we found it on the internet. The formula, it seems has seen a slight change since the show aired, and that, we believe is due to the large sum of money they were able to garner over the last year. We presume that since the episode was only aired recently, it must have been shot over at least a year ago. This has allowed them a lot of time to get things finally right. 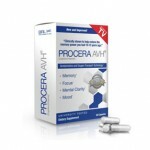 The formula shows some interesting ingredients, most of them showing some use in brain enhancement. 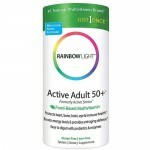 It includes some multivitamins as well, which provide the brain nourishment. 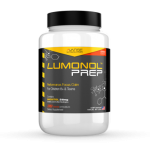 Phosphatidylserine: Derived from soy, phosphatidylserine is a nootropic made from a strain of fat that binds with neurotransmitters in the brain. It heightens communication between brain cells and neurons, while also repairing damage to the brain from aging. 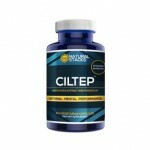 In studies, it has been noted to boost memory and learning abilities. Huperzine A: Huperzine A is a natural supplement that is known as a cholinesterase inhibitor, increasing the levels of acetylcholine in the brain. 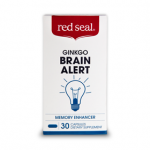 In studies, it has proven to enhance memory storage, consolidation, and retrieval. 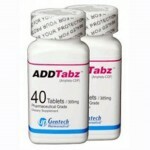 It has also shown to be effective in boosting concentration and mental clarity. Due to the nature of its chemistry, Huperzine A needs to be cycled, taking a couple of days off every week or so to maximize its effectiveness. Vinpocetine: From the periwinkle flower, Vinpocetine has for a very long time shown positive effects for people suffering from cerebral dysfunction. 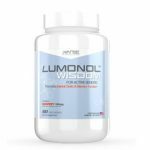 Its effects as a vasodilator help by increasing blood flow to the brain, and in studies have shown improved general cognition in patients over a three-month period. It also improves memory and learning. 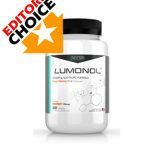 It works synergistically with Huperzine A. However, we do not agree with all the ingredients. One ingredient would be DMAE, which while showing great promise, also shows some side effects relating to cell death in some studies. It has since then been banned in Canada and Australia. Another ingredient is Caffeine. While caffeine does pose some good effects in terms of focus and alertness, caffeine is a readily available ingredient found in many energy drinks. Additionally, the lack of L-Theanine’s soothing properties mean that side effects may occur. Aside from this, SmartX does seem like a good smart drug, in terms of its formula. Our tests with SmartX lasted for a whole 45 days. We had a few volunteers come in to our lab (aged 19-30) who agreed to take SmartX continuously and write down their findings in a journal. They also had to come report back with our lab every two weeks for general cognitive performance tests. As soon as we let our participants try SmartX we were able to notice what the hype was all about. 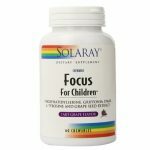 There were quite a lot of reports regarding how well it made them focus and concentrate. Apparently, they were able to do any sort of task for 3-4 hours without stopping. They had the motivational drive that allowed them to push through all their distractions. In addition, we also had reports that mentioned about increases in memory. However, these reports were not that many, even towards the end of the tests. Most students who participated, though, noticed that SmartX was great at helping them study, whether it was an overnighter, or if they were studying in intervals over 10 days. Unfortunately, there came the problem. The effects sort of tapered off after a while, leaving a brain enhancer that was half as effective that it used to be. This was evident in our cognitive tests, as we noticed a spike in performance over the first month, but that gradually decreased following the second and third month. A lot of the reviews we’ve read seemed to be pretty positive about SmartX. Many of their reports were similar to ours, however, we did not get any reports regarding decreased efficacy. This might have been due to the fact that we haven’t received reader reviews of people having used SmartX for over 2 months either. 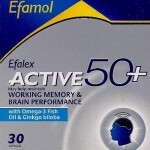 However, most noted that they were able to increase their memory slightly, and that SmartX did wonders for their focus. One of our readers reported diarrhea with the use of SmartX, however, we believe this was an isolated incident since none of our participants, or our other readers experience this as well. WAY better than coffee/energy drinks. It takes about 30 minutes to kick in for me and I feel like I can focus on anything. Even if I get interrupted I feel like I can dive right back into what I was working on. kinda pricey but i bought off their website using a Shark Tank coupon. Despite the new revamping of both the product and the website, we find that Cerebral Success’ SmartX is still not all that good. While we said in our old review of Cerebral Success that it was quite good, revisiting it now, SmartX, despite its improvements, can no longer hold up with the majority of the competition. 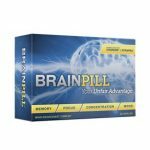 Marketed towards students, if you don’t want an overly potent nootropic, SmartX might be a good starting point before you move onto bigger things. 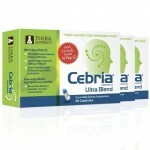 Amazingly, there were no side effects with Cerebral Success’ SmartX. Despite the fact that there was DMAE and caffeine without L-theanine, which we felt might have caused a hindrance, SmartX performed well. There were still a few side effects though, but they were mostly caffeine-related, such as jitters and anxiety. Nothing too serious, however. One review did note on diarrhea, but this wasn’t present in our tests. However, if you have any complications, we recommend you to stop taking SmartX immediately. 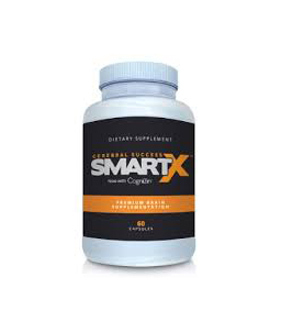 SmartX is sold at $69.00 on its official website for a month’s supply, containing 60 capsules. There are other pricing options as well, however, the savings are not that large. We recommend you to try one bottle out before committing to a larger pack. While we did get some considerable results from SmartX, that price point is quite expensive, making it seem of poor value. Cerebral Success’ SmartX proves that any sort of company can be able to make huge leaps in their standing with the help of the right key people. Despite us not agreeing with their formula, we’ve found that it does work well, increasing motivation, memory, and focus. Can it be better? Maybe, maybe not. However, our student participants claim that it does work well. We love it when a company can prove us wrong, and in this case, Cerebral Success has. Their improvements to their old product shows that they’re striving for innovation, mostly helped with investor money. Still a few improvements needed, but they’re off to the right direction.